The 11th World Hindi Conference will be held from 18-20 August at Swami Vivekananda International Conference Center in Mauritius. Logo for 11th World Hindi Conference was released on April 10. The 11th World Hindi Conference or Vishwa Hindi Sammellan will be held at Mauritius' Port Louis. The dates of the conference are 18-20 August and will be held at Swami Vivekananda International Conference Center. The event, held once in three years, is dedicated to Hindi language. It sees participation from Hindi scholars, writers and laureates from different parts of the world who contribute to the language. The previous conference was held in Bhopal in 2015. Mauritius Education Minister Leela Devi Dookhun Luchoomun and External Affairs Minister Sushma Swaraj on Tuesday released the logo of 11th World Hindi Conference and the website of the event. 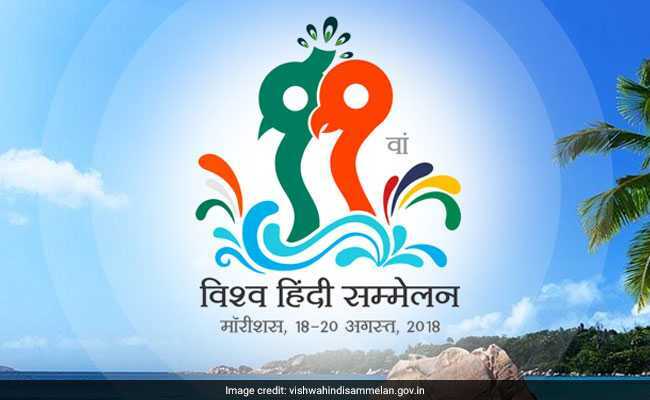 The logo was described by Mauritius Education Minister as the image of a ship struggling to keep sailing in the water is similar to what the difficulties Hindi is facing today. Ms Swaraj said the conference is important to ensure that the language exists among the Indians living abroad. "Language and culture go hand in hand. If language is lost, culture is lost. The conference is thus being organised to ensure that the Indian staying abroad do not forget it," she said. Participant, including guests and delegates, can be registered only through an online process here. The registration fee for general participant in Rs 5,000 and for students, it's Rs 1,000. The last day to register is July 15, 2018. The first World Hindi Conference was held in 1975 in Nagpur, India and was inaugurated by then Prime Minister of India Indira Gandhi. Since then, ten such conferences have been held in different parts of the world.